Pune is all set to make a mark in the few years history with a large number of national and international organizations as they are now investing in Pune. 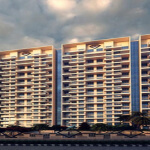 That is the reason the government, private real estate developers, and builders are focusing on developing commercial and residential properties in Pune. In the current scenario, both national and international investors are finding it more lucrative to invest in commercial and residential properties in Pune as both sectors are expected to grow a lot. In the past few years, the IT sector in Pune has witnessed incredible growth in terms of big investments and frequent career opportunities. Indian IT, education, and industrial sector have seen enormous growth in the last decade. 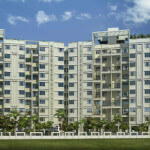 Today, all major metro cities of India have seen Pune as a hot investment property among investors. From which a large number of companies are eyeing on Pune due to optimum resources, skilled economic manpower, and abundance of economic properties. It enables companies to expand their business horizon in Asia Pacific region and therefore they can create numerous job opportunities for professionals who are looking to make a successful career. To buy residential properties in Pune is considered among the most preferred investments in India due to its proximity to Mumbai. And even Bangalore being known as the IT hub of India, Pune is giving it a run for its money by attracting the attention of big and start-up IT companies. 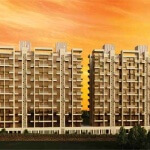 As a result, the prices of Pune properties have increased a lot. To meet the growing demand for residential properties, the government is launching multiple SEZ projects in Pune to promote City’s development. 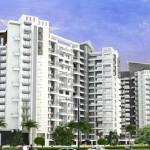 Investing in residential projects in Pune are becoming a common thing for investors nowadays. Why? There is a general reason for this. The reasons behind this investment are: on one hand properties in Pune are available at very cost effective price in comparison to other 2 tier cities in India. And on the other hand, according to the predicted statistics, return on their investment is guaranteed in a certain amount of period. For example road facing commercial properties with open area and floor area to accommodate multiple commercial ventures is the latest trend in Pune. These complexes are being purchased for automobile showrooms as well as theme restaurants. Retail outlets and malls are popping up everywhere to meet the rapid retail requirement and the increased purchasing power, middle-class families. With multiplexes, malls and retail outlets are being the trending category, the value of commercial properties in Pune going through the roof. Here, no need to say that commercial development is the parent of residential development. According to recent research studies conducted on real estate market in Pune, it is found that demand for commercial properties in Pune is likely to increase as many companies opting to set up their operations in IT SEZ. Due to the strong competition in the industrial sector in India, the occupancy rates have gone up by almost twice as compared to previous years. It is getting hard to predict the actual growth, so organizations are taking advantage of time and paying whatever the price is fixed for commercial property.